The Club decided that Ivan Lessner was the obvious member to be charged with the responsibility for safeguarding the badge ‘for ever after’ on the Club’s behalf, and displaying it at all appropriate occasions – including on the track! 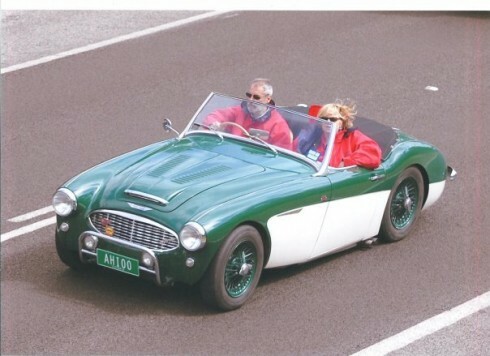 Three time REVS Champion Ivan has been Vintage racing the same 1958 Austin Healey 100 BN6 every year since 1987! 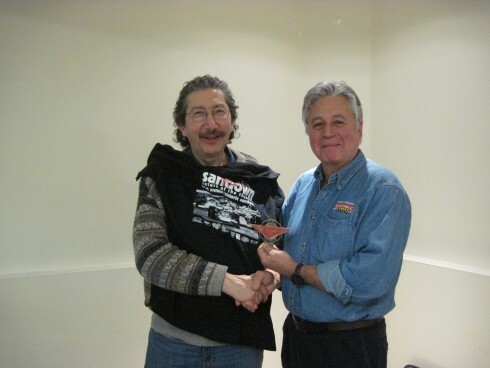 He was officially presented with the badge at the January 2013 Club meeting. Les wrote about his adventures in western Canada and at the BCHMR in particular in his club’s magazine ‘Hundreds and Thousands’. 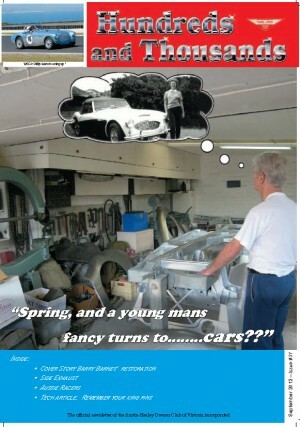 Just click on the cover image below to open the PDF and go to page 9. 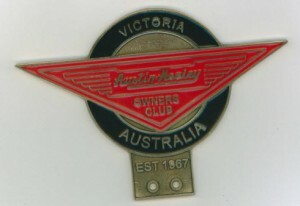 Thank you to Les, Zonda and all of the other members of the Austin Healey Owners Club of Victoria. We hope to see you again and also that some of us can visit Australia soon.